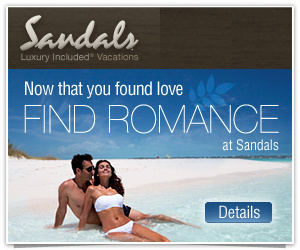 Sandals Honeymoons and Beaches Vacations are an amazing way to start off your new life together! As a Sandals & Beaches certified consultant, Ana can help navigate the best resort for you based on the luxury included experience that best fits your needs. Reach out to us today to start working on your honeymoon plans!